We all need some down time, and a vast majority of north america spends at least part of that time in front of a television. 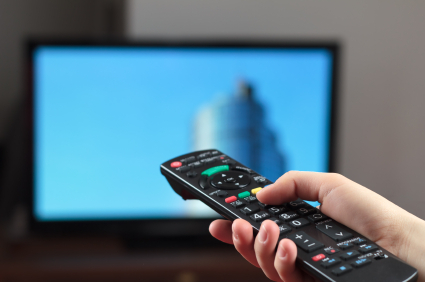 In recent years, the entire television scene has become complicated and puzzling, especially for people who want to simply sit back and take a break. Cable companies offer deals that last only six months, leaving customers with the question of what to do when the price break runs out. Bundled deals with internet have also become nosebleed-expensive. Tack on some TiVO, movies on demand, in-home rentals, or video games through your TV provider, and you’re gonna have to start deciding whether you’d rather eat dinner or watch TV. We all know which choice should win out, but let’s not let it get to that point. Often, once you sign a contract, you’ll likely forget about the rest of your options. When you sign up for plan, it often makes you feel cemented into that plan. Don’t get stuck with that expensive provider! Some people find great savings by keeping an eye on deals and specials offered by other companies and changing between companies. These companies are spending bundles of money on advertising with special deals to draw new customers, why not find someone who’s offering a better deal than you’re getting? Make the most of the opportunities offered by companies seeking to edge each other out. You can look online for some special offers. TV has begun to favor the active and the bold. It’s almost become an interactive sport, of sorts, and those who get out and look for deals find themselves paying much less in the end. Hang onto your hard-earned cash and make better use of it elsewhere in your budget. If the coupons are out there for the taking, why not be one of the people walking away with a deal? Contrary to what you may have been led to believe, your options are not limited to what the cable company presents, and there are plenty of ways to see your favorite shows and movies without paying for cable. Check out Hulu or Netflix and hook your computer up to the TV so you can enjoy it all on that big screen you love. Drop the entire cost of TV off of your bill. Keep the internet part and enjoy the perks of TV on demand without the price jump. The only drawback seems to be that you can’t watch your shows while they’re playing on TV, but the following day, everything is available. Seems a small price to pay for getting to watch things on your schedule while getting a price cut for it. Just ask your friends at work not to talk about the latest episode of Dancing with the Stars until you’ve had a chance to watch it, or skip water cooler talk altogether and become an even more productive employee to boot. You might even be getting that coveted raise before you know it. Savings never looked better, eh? If all else fails, scrap the tube altogether and see about something else. Head outside and grab some much-needed UV rays. Dust off your family games and get playing. You’ll discover that there is, indeed, a world outside the frame of your television screen and the people in that world are just as lively and entertaining (if not more so at times) than the ones inside the box. You may find yourself with more friends and social engagements, checking off books from your intended reading list, a cleaner house, a nice garden, and perhaps even an extra walk or two for the family dog. Give reality a try for a while and find out if Mark Twain knew what he was talking about when he said, “Truth is stranger than fiction, but it is because Fiction is obliged to stick to possibilities; Truth isn’t.” And don’t try telling me that reality TV is anything close to actual reality. Please. Are you a big TV buff? How do you save money when it comes to watching your favorite shows? I can’t remember the last time I watched TV on, well, TV. We don’t have cable or satellite–we do free Hulu plus Netflix’s basic plan. It works for us! You know what’s funny.. Lately, I haven’t very little T.V. I would say less than 3 hours a week. However, I still have it for when company comes over. We scrapped TV for a while and just had Netflix, but eventually we decided to get tv again. It definitely saves money, but you don’t have as much of a selection with Netflix. Still, even if you get hulu plus and Netflix, it is still cheaper than tv. One of the things I love doing is renegotiating with the cable provider. They always try to run the cost up after the promotional deal and before you know it your bill is huge. It’s easy to get some savings there. Your point about the downside of waiting one extra day for internet hookup is a great one. If you wait, then it is definitely worth it for Hulu or Netflix, I think!